Wow, we’ve been in Yaletown since 1995! Today we highlight 3 great grab-and-go lunch options that you might not know about. Salsa and Agave for any type of Mexican food…but we especially like the veggie and chicken tostadas. Fast, fresh and delicious! There are 2 locations in the same block, one for eating in, and one for taking out. Bean Around the World’s Quinoa bowl. We go to Bean Around the World (used to be known as the Yaletown Market) for great soup, but even better is their quinoa bowl with veggies, chicken, and pineapple salsa! Euro Pastry House’s Zucchini Schnitzel. Right in our very own building is the Euro Pastry House. It used to be run by Zoran, but now it’s Renée’s place and thankfully she kept his menu! Great for sandwiches of all kinds–the zucchini schnitzel on marble rye is delicious. 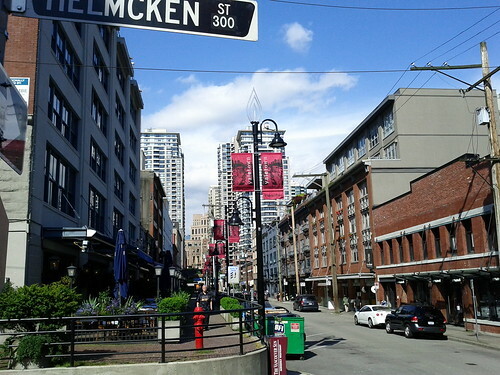 Where’s your go-to lunch spot in Yaletown?